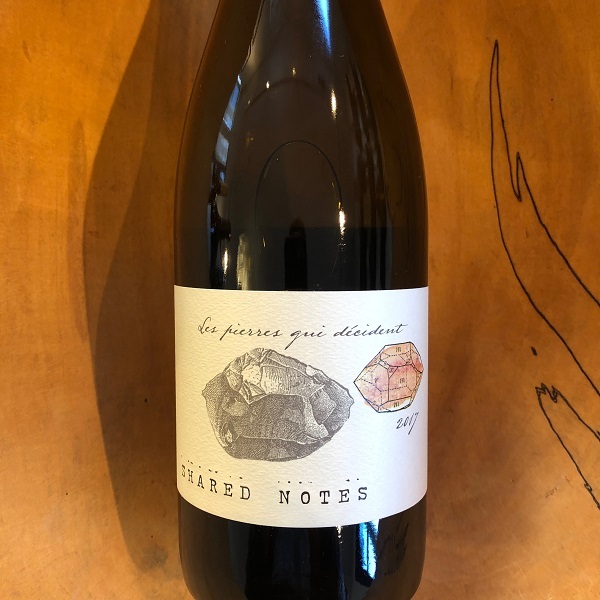 In English, ‘Les pierres qui décident’ translates into ‘the rocks that decide’ and it is the perfect way to describe this mineral-driven, Loire-style Sauvignon Blanc (think Didier Dagueneau’s great Whites). The 2017 Les pierres qui décident starts with crisp granny smith apple, zesty lemon, and mouthwatering lemon meringue pie that give way to a hint of lightly toasted French oak to tease your palate. The long, persistent finish leaves you with the perfumed taste of bourgeon de cassis characteristic to this style of Sauvignon Blanc. This exciting Sauvignon Blanc project is brought to us by husband and wife team Jeff Pisoni (of Pisoni Vineyards) and Bibiana Pisoni (of Wayfarer and Pahlmeyer). They chose to make Sauvignon Blanc together because neither have worked on producing it for their own wineries the represent and they loved the idea of bringing to the table two distinctly different SBs. This one was our favorite. 78 cases were produced.